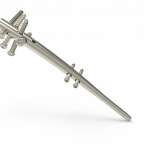 Low-profile, locking screws feature deep, cancellous triple-lead threads which can be beneficial for securing the soft bone of the humeral head and engaging the rod and lock smoothly. 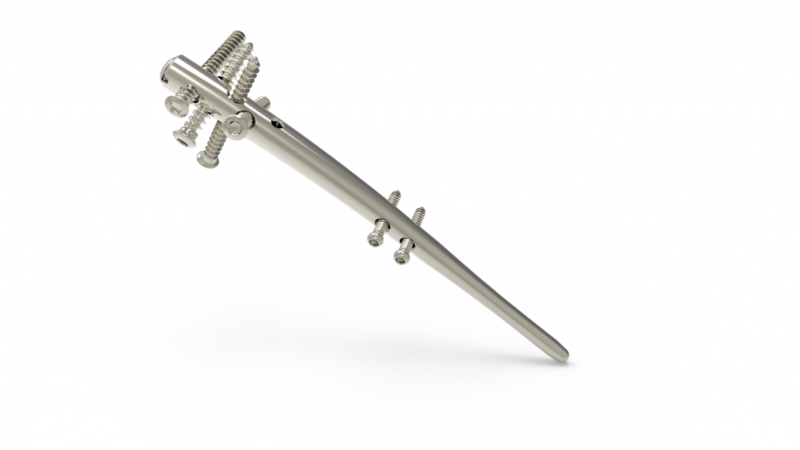 The tapered rod ends are designed to ease insertion and may mitigate stress concentrations reducing the potential of a peri-prosthetic fracture. 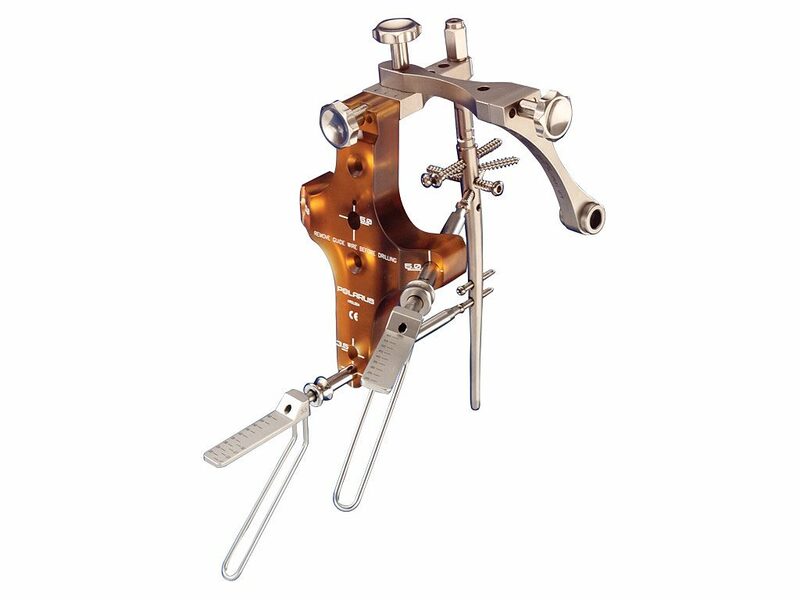 A wire insertion device, laser marks on the guide wire, and a radiolucent X-ray template may assist the surgeon in pinpointing screw location and ensuring the rod is buried to the appropriate depth. 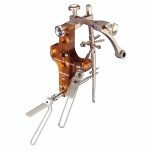 The drills ensure proper screw sizing and eliminate extra surgical steps. 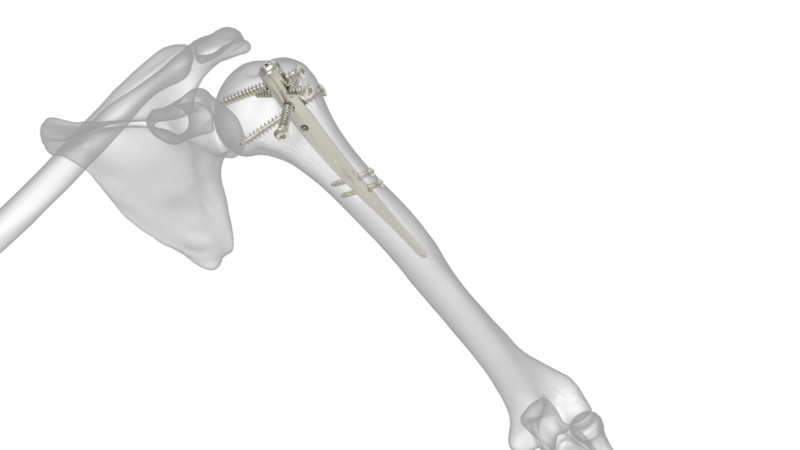 This cap, used in conjunction with the Polarus Humeral Rod, is designed to minimize the screw from backing out and prohibit bony ingrowth. 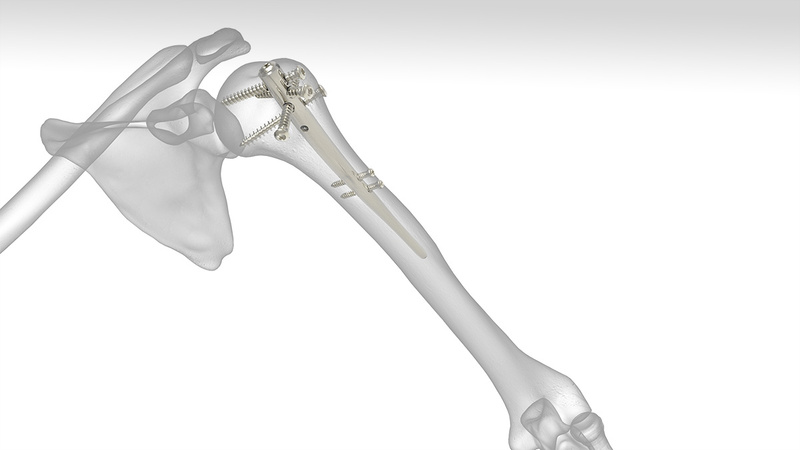 The Polarus Humeral Rod System is designed to provide fixation for 2-, 3-, and some 4-part fractures of the proximal humerus through a minimally invasive surgical technique. 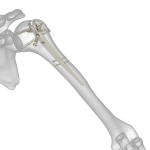 The Polarus Locking Humeral Rod and Polarus Plus Humeral Rod are cannulated intramedullary humeral rods that feature a tapered profile with a spiral array of proximal screws designed to target the best quality bone. Multi-planar fixation acts as a scaffold, aiding in fracture reduction and realignment. 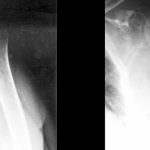 One of the additional values of intramedullary rodding compared to competing technologies is its percutaneous approach, designed to minimize soft tissue disruption and support periosteum healing.